What?!? Who said that the D7000 was best for landscapes and portraits?! That doesn’t make any sense! No current dSLR camera is necessarily really any better than any other camera for taking landscapes and portraits. Well, except for when it comes to “pixel peeping,” where some people prefer the skin tone or color output of one brand or model over another. Though to a large degree, this type of thing can be widely adjusted in post-processing. However overall, for those types of photos the lens you are using might make a significant difference rather the camera. However, certain cameras, like the Nikon D7000 and Canon 7D, are best for sports and action due to their more sophisticated and customizable autofocus systems and their additional autofocus points, and their rapid-fire continuous shooting speeds. I’m not sure what “multiple face recognition replay” is, but I do know that in Live View mode, with the D5100, you can use face recognition, and choose between the faces it identifies on the screen. The D3100 synopsis is completely off the mark and borderline insulting. I bought a D3100 as my first dSLR, but that doesn’t mean I never plan on using manual modes. I use fully manual as well as aperture- and shutter-speed-priority modes a lot more than any other mode available on my camera. The Nikon D3100 is a fantastic, well-built precision tool that exceeds my amateur photographer needs. It’s insulting to put all D3100 users in the same bag and treat them as Guide-mode-hugging beginners. Saying the D3100 is only for beginners is just plain wrong to me. I apologize that you interpreted my remarks that way. I was trying to express that the D3100 is a capable dSLR, but one that a photographer could outgrow if they advance and required additional functions and capabilities. Its image quality is excellent and it is a versatile camera, but based on my experiences, I wish to alert people to the limitations of an entry level model: I started out with a Canon Rebel XT, and it too – although an entry-level camera – was capable of being more than a beginner camera. But I soon found myself hitting the wall of its limitations as far as its continuous shooting speed, autofocus system, lack of weatherproofing, durability, and megapixel count. None of which are problems on the 3100. If you shoot in RAW how many of the extra controls are even necessary? They are very necessary for advanced shooting and in many, varied situations. For example, a reader over on the D5100 vs. T3i page just had a question about disabling the red-eye reduction lamp, and disabling the flash, but enabling the AF assist lamp – or else just enabling the infrared AF assist lamp on an external Speedlite. All of this is possible with a more advanced camera that gives you many menu and Custom Settings options. Each of these four settings can be enabled or disabled independently of the other. With a more basic model like the D3100, the user is not provided with these types of menu and custom setting options. There are many more features like this that are handy, sometimes even necessary in certain shooting situations or for photographers who work in specific ways, and this is why Nikon and Canon offer various levels of cameras with more and more of these features as they move up the line. For example the D7000 offers a complex and highly customizable autofocus system than is optimized for a sports, wildlife, or action photographer. By having more control over exactly where and how the camera autofocuses and exactly how and how quickly it reacts to new objects that enter the frame or come between the camera and intended subject, it allows the photographer to capture more of their shots, in sharp focus, at the exact moment, exactly as intended. I don’t think it is that wrong nor insulting. Unless you have tried the controls of (now) the D90 upwards models you really would not understand what the author was trying to state. IQ the D3100 and D5100 are fantastic little cameras. To me they are way to small to handle some of the lenses required as the balance just isn’t there. And then there is the big issue of the lack of two control wheels, no top LCD, and I can clearly see why the parallels were being drawn. Thank you! I have been tossing around the D5100 vs D7000 for the extra $400 it seems like a deal… But I am worried it is too heavy to carry as an every day camera. I am brand new to DSLRs this will be my first and I don’t want to outgrow it. I went to a local shop to feel them and loved the 5100 in my hand, but you and several others mention the lack of dials which concerns me. I like it for the video feature too. I can’t make up my mind and when I do I have to figure out lenses, oy-veh! Thanks for a great detailed review. Glad you found my post to be helpful. Try to determine how advanced you need your camera to be – if you plan to take full control of it and require all the sophisticated functions and custom settings of the D7000 or not. Whichever one you buy, be sure to check out my e-book user guides Nikon D5100 Experience and Nikon D7000 Experience on my e-book website Full Stop. I’ve been using D50 for the past 4 yrs and would like to upgrade. D90 was my choice till I came across D5100. Now I am torn between these two. I like (and am used to) the controls on D50 and logically I see it being extended in D90. But now that I’ve read the features on D5100 I am unable to decide. Lack of Autofocus motor in body is not a big deal for me. But I am not sure if I’ll miss the on-body direct controls of D90. Also having never used it, not sure if I’ll miss the articulated screen of D5100. Yes, the D90 might be a better upgrade to the D50 as far as controls, but the D5100 is more current and some of its features are improved over the D90. And I always advise NOT to buy an outdated model for a variety of reasons (kind of like buying a first gen iPhone or 3 year old flat screen TV – technology always moves on). Unfortunately, Nikon hasn’t filled that price point where the D90 sits with a current model, but instead upgraded it to the more expensive D7000. If you make use of the on-the-body controls of the D90 now, then you will probably miss them if you move to the D5100. The articulated screen may not be a big deal. I have only ever needed one a couple times when doing macro shots or lying on my stomach on wet grass to get shots of a dog. Videographers like them too. Is the D7000 more than you need or out of your desired price range? Thanks for the suggestions. Yes, I did have a look D7000 as well but its well over my price range. Yesterday I took a couple of shots with D5100 in a shop , have to say it felt a little too compact for my taste. Also the view finder was not very good. I know its outdated, but I think I’ll go for D90. Handling D5100 definitely helped me decide; D90 wins hands down for me in terms of usability and ergonomics. Thanks again for the review and comparisons. A well balanced review, this is. Depending on which Nikon DSLR I buy, I’ll have to get the book. Thanks! I’m glad you liked it and that you are interested in my e-books! I wanted to ask about a Major differentiator if its true and useful for someone trying to learn a bit of manual photography. Below link and video talks about D90 and D5100 not having the ability to do manual control in video. Is it true? Does it really matter. Please advice. Anyway, if you need full manual control in video, you know that you need full manual control in video based on your experience and needs, and then you need your camera to have full manual control in video. Do you not know yet but wonder are you going to need it in the future if you grow and develop as a photographer/videographer? That is the big unknown that no one can answer but one needs to figure out on an individual basis! As far as instruction in manual control, see my e-books, of course! I don’t go into a lot of detail of full manual (M) because I don’t feel it is necessary for most beginner or intermediate photographers in most situations. I don’t believe in M for the sake of old-school, full control, “look, I’m a photo martyr cuz I use full manual” because it just adds an extra step (setting BOTH aperture and shutter speed rather than just one) to each photo that isn’t necessary. Let the camera do it for you. Pick your priority: Aperture or Shutter Speed. Are you concerned with depth of field (aperture) or with freezing or blurring action (shutter speed)? Set your aperture in A (Av) mode or else set your shutter speed in S (Tv) mode, and let the camera take care of the other setting. Which one is best for a beginner into the SLR category? You will want to look at the Nikon D3100 or D5100 and see which one best suits your needs. Since you may not yet know your needs, the D5100 will give you more room to grow, advance and develop in how you use your camera due to additional features, functions, and custom settings. See the Rebel T3i on the Canon side for the equivalent. I am looking to buy my first DSLR. Am considering between D5100 and D7000. It appears that the clearest advantage of D7000 over D5100 is the autofocus motor. Although I don’t have any legacy lenses, I figured that this advantage may still apply to me because I can then buy legacy lenses which are cheaper. If I were to buy 2 extra lenses (say 50mm F1.8 and 55-300mm F4.5-F5.6) in AF format instead of AFS, it would more than compensate the higher price that I would be paying for D7000. Given the choice, would you go for D5100 (with above lenses in AFS format, which are quieter and faster) OR D7000 (similar lenses but in the cheaper AF format)? Assume that the total price for both configurations is roughly the same. The built-in autofocus motor is just one of the many advantages of the D7000. You would want to consider the D7000 for a lot of other reasons including a much more sophisticated AF system with more AF points, useful or even necessary if you are shooting lots of sports and action type situations. There are numerous other addition features of the D7000 that you should determine if you will need or grow into, such as the additional camera controls available on the body of the camera, the numerous custom settings to customize how the camera works for you and your shooting, and all the other things discussed in the post. But on the other hand, if you don’t need and won’t use these features, the D5100 can serve you just fine. As far as the AF vs AF-S lens decision, consider that you are investing in the lenses for the long term. The camera body will become outdated and you will eventually replace it in several years, but you will have the lenses for life. So I realize I haven’t really answered your question, but hopefully these additional items to consider will help with your decision. I got myself my first DSLR a Nikon D3100, always had a point and shoot, always loved photography, but really looking for better quality pictures. Being a mother of two small children and not having to much time to learn more about it and run test. I am finding the pictures (color wise) not very good, got myself some hoya and B+W warming filters, but still not much. either I am not doing it right or you get what you pay for it…Do you think the pictures from d D5100 will be a lot better ( sharper and the collors )?? ?or they should be about the same, I don’t love the idea of the swivel screen…what am I doing wrong? HELP!!! These days with digital SLR cameras, “you get what you pay for” applies more to the advanced features, and not so much to the image quality. Though cameras differ as far as megapixel count, maximum ISO capabilities, and perhaps dynamic range, most of the current camera’s sensors are very high quality, so you would not see a profound difference between the image quality of the D3100 vs the D5100. First, are you shooting JPEG or RAW(NEF) image files? JPEG images are processed in the camera and will generally look better straight out of the camera than RAW images. RAW images are basically unprocessed, and require post-processing of color, contrast, sharpness, etc. But even JPEG images require some processing for them to look their best, or to appear how you would like them to. This can be done in-camera when you take the shot through the use of Picture Controls (or after you take the shot, in-camera with certain cameras, but I don’t recommend that because it is more difficult to process individual images, and on a 3″ screen). You can try the presets like Vivid, or set your own. I suggest increasing the sharpening, contrast, and saturation a bit and then see if you get what you desire. Although I haven’t written a guide to the D3100, you can learn much more about how to do this, as well as learn about the other essential features and functions of the camera in my e-book guide Nikon D5100 Experience. Have a look! I would not recommend using warming filters on a digital SLR, as they will shift the color and affect the white balance. Unless you are setting a custom white balance to work in conjunction with the warming filter to ensure that the filter is behaving as you desire, it is better to apply this sort of effect in post-processing. hi, i’m abt buy a new slr cam. i jus want to know that is it worth spending 100-129$ more on d5100? Yes, I believe that it is typically worth it to choose the D5100. Unless you plan to just use your camera on all the AUTO settings, the D5100 will give you more room to grow and develop as a dSLR photographer, and to take control of your camera, due to its additional features and custom settings. thanks dojoklo! for d previous reply! is there any diff. in the image quality of d3100 and d5100? There is a very slight difference in the image quality of the D3100 and D5100 due to the 14 megapixel sensor (D3100) vs the 16MP sensor of the D5100. However, the difference may be visible only upon extreme close inspection or at higher ISO settings. The more important difference between the two is that the D5100 will give you more features, controls, and custom settings options to allow you to more easily change the camera settings and then customize how it functions. As you advance in your photography, you may want to have these additional features. The D3100 is a very basic camera that will work fine and has good image quality but will not give you much room to grow. When you decide, please use my Amazon, B&H, or Adorama links on the left side of the page to make your purchase and help support this blog! And be sure to check out my Nikon D5100 Experience e-book if you choose that one. hi, i’m planning to buy a new slr! i’ve shortlisted d d3100 nd d5100. my main concern is good image quality. i would like to know is it worth spending $120-$150 more on d5100 over d3100? i mean does d more price of d5100 over d3100 justified? i talked to a local photographer he said there is no difference in image quality except for d better lcd screen. kindly reply asap! Great review , I got a used d3100, coming from a point and shoot . I like the camera alot , but you are right , i got it july 1 2011 and i am ready to upgrade . It want to learn the basics with it and then make my desion. This gives me time to save up for a better camera . In my opinion the 3100 is a good starting point to learn from and decide if you want to go further with photography, for little up front cash outlay. Hi, I had a small question. This whole blog was extremely helpful, and was just what I was looking for. For quite some time, I was searching for something on the internet that would list the features and compare them to other models, and this was it. Thank you! I’m a beginner at photography, and I really want to learn. I didn’t really have much knowledge on which camera to buy, but after researching on different types I planned to get the Nikon D3100. Is this a good choice? I’m always worried about the mega pixels though. Is the picture quality of D5000 better than the D3100 (Like a major change)? I didn’t want to spend too much money, but I always think that I could get something better if I’m already spending the money. The D5100 is the current model of the D5000. It is about the same quality of the D3100, though the D5100 has some additional features, menu items, and custom settings which make it a better camera for “growing into.” If you advance with your photography, you could outgrow a D3100 and start to wish for or require additional features and capabilities, but a D5100 will give you more room to grow. I had a question, though. Which camera would be better if you focused on the “HD Movie”? D3100 or D5100? And, have the cameras been released in this order? D3100, then, D5100, then D90, then D7000? I think the order, old to new, is D90, D3100, D7000, D5100 – though they are at different “levels” (basic, consumer, pro-sumer) so that is a more important consideration. They have about the same HD video quality, though the D5100 has more menu and custom settings options. Typically people purchase the D3100 or D5100 with the 18-55mm “kit lens,” which comes as a package together. Of course you can always purchase different, better quality lenses. The D3100 and D5100 do not have built in autofocus motors, so in order to autofocus the lens needs to have the autofocus motor. These lenses with the motor are designated AF-S. So some Nikon lenses, such as older lenses and lenses that aren’t AF-S designated lenses won’t autofocus with theses cameras. As most current lenses are AF-S lenses, this typically isn’t a big deal unless you have a collection of legacy Nikon lenses you wish to use. Also, I had another problem. Which camera would be better for a person who has know-hows on photography.. but it still learning? The D3100, or D5000, or D5100? Also, what is the difference between them? The D5000 was not mentioned in the blog, meaning that it is not as good as the other cameras? Which came out first? The D5000 was replaced with the D5100, so I just discussed the current model. Hopefully you can find the answers to the other questions in the post itself! First of all, what a great thorough and objective review but easy enough to understand for beginners. I’m considering replacement of my good old reliable D80. It has giving many beautiful shots (some which I sold) and taught me quite a bit. Having said that I honestly haven’t explored every single thing about my camera and I’m still learning about photography. I do shoot RAW/JPEG mostly on aperture priority mode and with more patience on manual and at times struggled a bit with settings on manual particularly. I was thinking about selling the D80 and replace it perhaps with the D5100 but after reading your review I’m starting to think that the D7000 might be the way to go, even though, it is bit out of my comfort zone, abilities and price range. One perhaps minor issue with the D5100 is that it doesn’t have a LCD on top and I feel like the small screen has helped me learn quite a bit on the D80 and photography. You state very clearly the reasons to go for a certain camera and even though, my needs don’t meet all the extras on the D7000, I feel like it is a much better investment. Luckily, the subject of the D80 hasn’t been approach much. And since I don’t want to be too redundant with questions already asked, the dilemma for me is which camera to purchase. 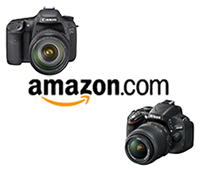 The D5100 or D7000? I’ll definitely be sure to get one of your guides for the much required help that will arise after my purchase! Yes, the D7000 would be the more logical step for you, as the D5100 would be a bit of a downgrade from the D80. Although the megapixels, exposure system, LCD screen, and other features of the D5100 are an improvement over your D80 – due to the D5100 being newer technology – the features, controls, and menu/ custom settings options would be a step down for you. The D700 will also give you much more room to continue to grow and learn with your camera as you learn to take advantage of the more advanced features, etc. I’m uprading from D80 also and I went for a good used D90. (hasn’t arrived yet) I’ve had some success with landscpes that were printed and just did my first wedding that went well. The D80’s ISO isnt really usable over 400 or so, and in dim light it can be a struggle. The D5100 looks great on paper but from what I’ve read it isn’t really going to wear well. I love the idea of in camera HDR, flipout screens and high usable ISO, but if it’s going to fall apart after 20,000 actuations then it’s not a great buy. So is there a major difference between the D90 and D7000 that would warrant spending over twice the price. The D5100 will hopefully last longer than 20,000 actuations! I could do that in a month long assignment! The in-camera HDR isn’t really HDR, but more of a dynamic range expansion using only 2 images I believe, to pull out detail from the shadows or help you get the sky and foreground both properly exposed. There are some significant differences between the D90 and D7000, including of course a newer sensor with better high ISO performance and an improved exposure metering system. More importantly the D7000 has a much more sophisticated and customizable autofocus system than the D90, but if you are not a sports, wildlife, or action photographer, that may not be critical. So no , I don’t think the D7000 is 2x “better” than the D90 or worth 2x the price. It may be 30% “better” on paper if you add up all the improvements, but if the D90 has all the features, image quality, and capabilities that you need, then it is not worth paying 2x more for the D7000. Yes, I can see how pulling 2 images together would be a great advantage when photographing a bride in white a groom in black against dark trees and bright sky. As long as it looks like a proper image as a lot of HDR just look sureal. Right, the in-camera HDR is not the over-done surreal HDR. It is more similar to Active D-Lighting of Nikon cameras, but cannot be used for moving subjects as ADL can. Note that the D5100 does not have an autofocus motor in the body, and thus you need to use AF-S lenses in order to autofocus (older or cheaper lenses without AF-S won’t autofocus). been comparing Nikon DSLRs’ for a couple weeks, and cost is Definitely an issue. I’m not sure how to justify the added $600 for the D7000 kit over the D5100 kit. I am trying to foresee if I will suffer any remorse by going with the more affordable/simpler D5100. for the cost of the D7000 body (about $1200) I can find the D5100 kit + 18-55 lens AND an add’l 55-300 lens. anyway if it was your $1200 WWYD…? Thanks for reading, I’m glad you found it helpful. hey….i havnt used an slr till now…..im a beginner…..its gonna be my 1st slr but i’m stuck between d90 and d5100…which 1 do u suggest? Well, it depends on your needs as a photographer and how you plan to use it. If you plan to be a dedicated dSLR user and learn to make use of and take advantage of all the advanced controls and functions, then you will want the D90. If you are going to be a more casual dSLR user, the D5100 might fulfill all your needs and perhaps you won’t outgrow it. The above post should have lots of additional info to help with this decision. I don’t think the rotating screen should be a major deciding factor, unless you do some type of photography or video that really needs it. But, none-the-less, I do think the D5100 is a wiser choice. The D3100 is a good quality basic camera and may fulfill all your needs for a long while. But if you grow and advance and start to demand more from your camera, then the D5100 gives you much more room to grow. And the fact that you wish to use it for a long while supports this. When I got my first digital SLR, I got a basic Rebel XT, and after about a month of using it intensely (on a 3 month trip to Peru) I had already reached its limits and needed more – faster shooting speed, better autofocus system, more dust resistance, longer battery life. Though the D3100 and D5100 are both far more advanced than the Rebel XT was, I think the same principles apply, and that you may be better starting off with a step up from the D3100. I discusses the T3i (600D) vs the D5100, but the T3i and T2i (550D) are virtually the same camera except for some additional features like the rotating screen and the remote flash capability of the 600D. Hi.v interested in all you have to say. i am a very keen photographer..have sold some of my prints (had HP B9180 pro A3+ printer )and last camera was canon 450d. will i notice with careful processing a big improvement on a nikon d5100 over canon 450d…will i miss the sensor cam of D7000 that gives better exposure over D5100 or if imeter well will i not notice. will D5100 images blow me away? whatever i get must exceed canon 450 D a lot!! I’m not sure if you would find the huge improvement you desire from a 450D to the D5100. You would jump from 12 to 16 megapixels, so that will offer some improvement. And the latest version of your camera, the 600D has 18 megapixels, so that is more of a jump. I think the 450D will still give you the great images you are seeking, and you should see a noticeable difference with high quality lenses. And since lenses will last you much longer than any body, perhaps invest in an L series lens that suits your needs. Maybe rent one and try one out first. I really think the image quality improvement with an L lens will fulfill you current desires, and perhaps even blow you away. And if you want additional features and capabilities in the camera itself, you are going to have to, of course, step up to the Nikon D7000 or Canon 60D or 7D. Going from a 450D to a 600D or D5100 is a lateral move as far as level of camera. Sure, the technology and sensors have improved, but you are still not getting the additional controls, top lcd screen, extensive customization options, improved autofocus system, etc. of a mid level camera. thats very helpful indeed!!! as i currently do not have a digital slr would a panasonic GF2 with kit lens keep me going for a while?..they are on offer? i must say you sure know your stuff!! I currently have the Nikon D80 and am trying to decide bewtween the D7000 and D5100. – your comparison post has some excellent information and I will definitely be checking out your eBooks when I make my choice. I shoot primarily with 2 lenses – Nikon 17-55mm f/2.8G and the Nikon 80-200mm 1:2.8D. I like the pre-set settings offed (for sports, portraits, etc…) but do go into the A and S settings and make modifications (especially when I’m shooting inside/auditorium in darker settings). Does the D7000 offer those same type settings without having to do everything manually and save it in the U1/U2? I’m nervous to make the big jump of being responsible for every aspect of the picture settings but want the ability to “grow” my skills on my next camera. Thank you. Thanks for reading! To go from the D80 to the D5100 would be a “step down” in some ways. While naturally the quality of the sensors and exposure metering system has improved with the D5100 (and with all cameras since the D80), the D5100 does not offer the top LCD screen and as much direct access to all the controls as the D80 and D7000 does. If you have found yourself using the buttons and command dials to quickly and easily change your settings on your current D80, and the top LCD screen to monitor those settings, know that you would have to change your habits with the D5100. With the D5100 you more often use the “i button” and the “Info screen” displayed on the rear LCD screen to change your settings. The D5100 is a smaller, less rugged camera than the D80 and D7000. If you have not seen it in person, it would be a good idea to try it out “hands-on.” Perhaps it will fulfill your needs, or maybe you will see you prefer the size, build, and controls of the D7000. The D7000 has all the traditional scene modes (landscape, portrait, sports) but instead of all being on the mode dial, you set the mode dial on SCENE and use the command dial to change this setting while viewing it on the rear screen. And don’t worry, once you read my e-book guide Nikon D7000 Experience, not only will you not be nervous about being responsible for all the settings, you will be excited by the prospect! I just got my early Christmas present and I bought your book from Amazon for my Kindle. I know what I’m going to be doing this weekend. Thank you for your advice and guidance thus far. Great! Good luck with it and happy shooting! It is gonna be my first dslr, ( bet it’s the 1000,000th time you hear this sentence ) and I will be a dedicated dslr photographer and I DO want to learn using manual settings and I’m interested in using them in future. I’m kinda stuck between D5100 and D90. my question is that Can I have the same quality of d5100 at high iso with using a suitable lens on D90 ? and if yes, what lens would you recommend? and wich one would you recommend for me? d5100 or d90? Unfortunately DPReview and DXO mark don’t seem to have the D90 in their comparison database, so I can’t point you to a quantitative comparison of the two sensors. As the newer camera with the improved sensor, the D5100 will have improved high ISO performance, but how much better, in reality, I’m not sure. Generally I’m in favor of getting the latest model for a variety of reasons, and the D90 is an older model. Its replacement would be the D7000, so have you had a look at that and compared it to the D5100? It is a Canon post, but Nikon typically has a comparable lens, and it will help you narrow it down. You will want a “fast” lens to shoot in low light, which means a lens with a very wide maximum aperture like 2.8 or 1.4. Know that wide max aperture lenses are $$$. Perhaps a 50mm f/1.4 prime lens, a relatively reasonably priced lens, is the solution for you. thanks for the quick answer. Your help would really help me choose. yes, I have checked the d7000 and I think its perfect in every way. but unfortunately I cant afford it for now, at least. It may be my next camera . I was thinking about 50mm f/1.8, I really like it . but I do need zooming too. so now I’m stuck again ! not a superzoom, but ,you know , for some situations. isnt there a wide max aperture lens that has a fair zoom ? I checked 85mm f/1.8 but its too expensive. oh sorry, I was mistaken at 85mm’s price with another one. so 85mm might now be one of my choices. I dont exactly know how much it zooms? does it really differ from a fixed one like 50mm? I love the “walking up to the bear” example! Yes, you definitely can’t “zoom with your feet” it that situation. The 85mm is a fixed, prime lens like the 50mm, so it only offers the 85mm focal length. The 18-105mm is a relatively inexpensive lens that will give you some telephoto zoom, but it has an f/3.5-5.6 max aperture, so that may not be what you are looking for. Other than that you typically have to pay big $$ for a zoom lens with a fixed f/4 or f/2.8 max aperture. so does 50mm really help me for low light situation ? Does 18-105 really differ from 50mm in low light on D90 ? I’m stuck between the D5100 and D7000, I’m just not sure the price difference is justifiable. I’d rather spend $400 on a good lens for the 5100 then use the kit lens for the 7000. I plan to shoot portraits (weddings and parties) but I also want to be able to get good shots of my son at the park or in a field. Would you say that the af motor in the 7000 is the biggest feature difference between the two? If you are shooting portraits and weddings as a pro or semi-pro, then you will need the D7000 at minimum. The D5100 just isn’t a pro camera (access to controls, durability, AF system, and a number of things mentioned above). I would say the access to all the various controls on the body of the camera, the AF system, and the customization options are the biggest feature differences of the D7000 over the D5100. But I’m not a pro, this will actually be my first dslr and will only do portraits and weddings as a hobby for free. My concern is the complex settings on the d7000, are they user friendly for beginners? The basic settings on a dSLR are much the same for any camera – the shooting modes (Auto, Program, Aperture Priority, Shutter Priority), the metering modes, White Balance settings, etc. So if you ignore the complex settings and use any camera in Auto or one of the Scene modes (Portrait, Landscape, Sports, etc) they are all pretty “user friendly.” But to better take advantage of the capability of a dSLR, and to have control over your resulting images and not just rely on luck and chance to get a good image, you need to take full control of the camera – for example where it autofocuses, the aperture setting and depth of field, the shutter speed to capture movement, the metering mode and the exposure results. So in short, either camera can be user friendly in the Auto or scene modes, but to capture images like the ones on those websites, you need to really learn the functions and settings of the camera plus the principles of exposure. For example, a lot of them involve very dramatic lighting, and even the use of an external flash. These results involve good knowledge of exposure and metering, such as choosing the appropriate metering mode, metering the right part of the scene to determine exposure, using AE-Lock to lock in the exposure before re-framing the final shot. And controlling the autofocus system to tell the camera exactly where to focus. Plus those images generally involve either a little or a lot of post-processing in Photoshop to obtain the color, contrast, sharpness, color tone, tweaking the exposure, accentuating the highlights / darkening the shadows, etc. After you begin to gain experience, you will start to understand why you would want and need some of the more complex settings, such as having direct access to various controls and settings to change them on the fly; customizing the controls and functions of your camera to work exactly how you wish to work quickly and intuitively; dictating exactly how the metering mode, the autofocus system, exposure compensation, etc. function. You can have a look at one of my books such as Ten Steps to Better dSLR Photography, or my guides Nikon D5100 Experience or Nikon D7000 Experience to better understand what you are getting into! I have a D3100 and the 33mm prime; 70mm~300mm 18~55 lenses. I frequently (90%) of the time find myself in a situation where flash is not permited and the lighting is god aweful. Taking photos and short videos of moving people with lighted costumes. Im starting to think maybe I need a better camera than the D3100, then again im pretty amature and likly not getting the most of what I have now. The other 10% of the time im taking nature/macro shots for my own enjoyment. any suggestions? In these types of low light situations you need two things: the ability to use high ISO settings, and a “fast” lens, meaning one with a wide maximum aperture such as f/1.4 or f/2.8. Prime lenses such as the Nikon 50mm f/1.4G AF-S will give you this capability at a more affordable price than an f/2.8 zoom. As you can see with the sensor tests at DXOMark, the sensor of the D7000 (which is also the sensor of the D5100) is improved over the D3100, and you will see a small but noticeable difference in low light images with one of those cameras – less noise at higher ISO settings, plus improved dynamic range and color sensitivity. So first try working with your prime lens at wide open aperture settings (is it the 35mm f/1.8? ), and set the ISO as high as necessary but try not to go over 1600. IF this isn’t working, then yes, perhaps upgrade to the D5100 or D7000. IMHO the real strenght of the D5100 over the D3100 is the LCD resolution. The functions are almost the same; the difference is just gimmicks. e.g: the hdr (Does D3 have Hdr? ); this kind of photography is hate for a lot of serious photographers; the bracketing: personally I’ve used bracketing twice in my life; the fps ¿what is the fps in the Leica M9? The D3100 have a more professional layout, e.g: the drive mode and the buttons in the left, plus the buttons design for live view. Everywhere it is written about the superiority of the D5100(D7000) sensor. It was a great read indeed. The most I loved is the patient way you answered all the questions !!! Simply proves your matchless dedication to photography. I just wana ask something.. I currently have a D3100 with kit lens and 55-300mm.. I have taken pictures but mostly with M.. never liked Auto though.. The pictures are great and it seems that i have outgrow the camera so i was thinking of an upgrade.. Which is better, cuz i was thinking bout upgrading but keeping my D3100.. I was thinking is D90 worth the upgrade for IQ or should i go for the D7000? my budget currently is up to the D90.. The D90 would be an excellent upgrade as far as additional controls and capabilities. Its only issue is that it is an older camera that has basically been replaced with the D7000, plus the sensor of the D3100 is actually slightly better than the D90 (more megapixels, slightly better low light performance). The D7000 would be an even nicer upgrade of course, but not entirely necessary if you don’t require its more sophisticated autofocus system and blazing fast shooting speed. One lens that you are going to want to have a look at is the Nikon AF-S 50mm f/1.8 or the Nikon AF-S 50mm f/1.4. The f/1.4 version is a little nicer and a bit more expensive. The 50mm lens will work great in low light situations due to its wide maximum aperture, and it is a great people/ portrait lens too. For the landscapes, have a look at one of the wide angle lenses such as the Nikon 16-85mm or if you want to go even wider, the Nikon 10-24mm. Hmm.. Guess I’ll check out what lens really suits me.. Thanks for your professional opinion.! :D I really appreciate it! Hi…Thanks for all the useful information in your blog and your patience. This gonna be my first DSLR…Just wanted to ask if I go for D5100 now, then whether all those charming features of D7000 like tracking a moving subject in the frame, several consecutive shots (may be 10 or 20) at the rate of 6 frames per second, Auto Focus etc. can be addressed by buying additional requisite lenses in future and using them on the body of D5100? is it possible to do so? Please advice! As Im a beginner so not quite sure as to what clicks gonna interest me with the passage of time and whether I would be requiring all those advanced features of D7000 but at the same time dont wanna limit myself by purchasing a less configuration camera and regretting later on. Yes, it is always hard to know how you are going to be wanting to use a camera in the future and which features will be important to you. But no, you can’t add those advanced features to the D5100 through lenses or any other way. Those features are all part of the camera body. However, the D5100 does have an autofocus system that will track moving subjects. See here for more info on that: http://blog.dojoklo.com/2011/06/03/taking-advantage-of-the-nikon-d5100-autofocus-system/ It is just not as sophisticated as the system of the D7000. But the D5100 will always be limited to 4 frames per second (for 100 shots), 11 autofocus points, etc. One path to consider is to start with the D5100. If if fulfills all your needs, it may be the perfect camera for you for several years. If you find that you are learning to take advantage of all its features and are starting to push the camera it to its limits, then perhaps after a year or so you can upgrade to the latest D7000 type model. thanks again for your so valuable inputs…as you have mentioned that all those additional features are part of camera’s body only so i think im going for nikon d7000…i would rather go for latest technology with additional features than regretting later on (as you always advice) considering that im gonna use it for so many coming years and at the same point of time not outgrowing of the same…will definitely go for your e-book also after my purchase! Awesome! Have fun with your new equipment! The 50mm on a DX size sensor (ASP-C) will actually give you the equivalent of what would have been 75mm on a film SLR or a full frame digital camera, so yes, that brings the subject a bit closer than what you may expect. And thus the 35mm will “look” like a 52mm lens. The best way to evaluate which one works for you is to check them out in a store and have a look at and compare the field of view. Ok.. Thanks Again :) Cheers! I found your review very interesting. I got a Sony alpha 350 about 3 years ago and have really enjoyed using it. Unfortunately it was recently dropped and seems to be damaged so it would seem that I will need to replace it. Over the past year, while I have been working on my photography, I have wondered if I should switch to either Nikon or Canon which seem to be considered the more professional/better cameras. Now it would seem that I need to buy a replacement sooner rather than later. I wonder how the D5100 would compare to the Alpha350? I have been advised to buy the D5100. I wonder if you would have an opinion? I use both my 18-55mm and 55-200mm all the time and tend to like taking pictures of people, but have been experimenting more over the past year. I’m not very familiar with the Sony cameras, but after looking at its specifications, it looks like it was pretty advanced at the time it came out – higher resolution than the equivalent Canon or Nikon of the time, and an interesting Live View autofocus system. The Sonys are actually becoming a little more popular and are well respected due to some advancements like the translucent mirror, allowing full time autofocus and more rapid shooting speeds than the Canons and Nikons, whose mirrors flip up and down with each shot. If you are happy with your Sony, and have a few Sony lenses, maybe you should look at the current Sony models. Determine which features and functions you use often, or the ones you wish your camera had, and look closely at those features as you read through the above articles. I am a beginner and want to buy my first dSLR camera, I did some research and ended with two shortlisted cameras, D3100 and D5100. I am confused on which one to go for. I am not a professional photographer so I won’t be upgrading my camera frequently but I want to explore the manual settings that dSLR offers, so should I go for D5100 or same some bucks on D3100 and spend on better lens? I would recommend choosing the D5100. The D3100 (replaced with the current D3200) is a very basic entry level dSLR camera. If you do get more into using the features and options of a dSLR, the D5100 offers a bit more room for growth. I don’t feel you will really be paying for options you will never use, but instead you are investing in a camera that gives you room to grow over the next several years. You will never regret getting the “better” camera, but you may regret getting a less-featured model that you outgrow and want to upgrade in a year or two. As always, I recommend getting the body only, and then investing in a high quality lens that fits your needs. A good lens never becomes obsolete. The “kit” lenses are OK, but are typically limited in focal range and/ or image quality. I saw a bit of advice recently about how in order to improve your photography, ditch the kit lens – mostly because it “limits” your compositions. It offers limited ability for really great close-ups with great background blur, and does not offer wide enough maximum apertures to allow good low light images (without flash). If i have a 16 GB SD card, then how long continuously i can shoot video in full HD mode in D5100? That is sort of a trick question! At any video setting, the D5100 can shoot for a maximum of 20 minutes for a single video file (or 4 GB, whichever comes first). That 20 minute file will be around 2.75 GB, based on your various settings. So you can immediately start the next clip of 20 minutes, and then get perhaps 116 minutes of total video on your 16GB card (did I do my math right?) However, you may not actually be able shoot 116 minutes of video in one session, as your sensor might overheat and your camera will hopefully shut down to prevent damage – but D5100 users have claimed to use their camera for 2 hours or more of Live View and Video use without overheating problems. Till now I am a bridge camera user, Sony HX100V for last 1 year, fell in love with bird and nature photography. The obstacle of bridge camera compels me to think of buying dslr. after extensive research I am in dilemma between D90 and d7000. the later is too much for my budget at this moment. The system I am planning may be ultimately comprises of a nikkor 300mm f4 +TC14 which I may buy in future. So is it worth investing in d90 or to wait and more explore the bridge and then have d7000 straightaway. I dream to take BIF and birds in action shot, and whether is it not easily possible with d90? Hello. It will definitely be easier to take action and motion photos with the D7000 because it has a much more sophisticated autofocus system than the D90. The D7000 AF system is specially designed to track moving subjects and more easily follow and capture them. If also has several Custom Settings for the AF system that can help you set it up to work best for the type of subject, motion, and results you are looking to capture. (You can learn more about the D7000 AF system here: http://blog.dojoklo.com/2011/05/28/using-the-nikon-d7000-autofocus-system/). The D90 is an excellent camera otherwise (it does not have the advanced autofocus system of the D7000) – but it is outdated now, and I always recommend that you purchase the most current technology. Since you will probably use the camera for 5 or more years, you don’t want to start out with a camera that is already several years “old.” I would recommend that you consider buying a used D7000 rather than a new D90. Nice to read your blog.. Too good.. Photography has always been my interest and hobby for years.. Though I couldn’t purchase dSLR earlier I was planning to buy one now.. Somehow or other I have decided upon to buy Nikon rather than going for Canon. Yesterday I decided upon D90 but today after reading your blog I am confused.. whether to go for D90 or not as it is outdated one. Also because D7000 is very expensive and not in my budget.. I am too much interested in Photography and interested in learning photography in coming years. I might be interested in purchasing lenses in the coming years.. so confused whether they will be compatible with the body which I purchase now.. Please advise! While the D90 is “outdated,” it is still an excellent camera with great image quality, and if that is the camera that fits your budget, then you should use it! Or perhaps look for a nice used D7000. Any current “F mount” Nikon (Nikkor) lens will be compatible with the D90. And the D90 has an autofocus motor in the body so even current lenses without an autofocus motor will still autofocus with the D90 (or D7000). A great blog site, thanks very much. This question has probably been asked a thousand times before every way round but I ask your advice anyway, the D3100 or D5100? I want to buy my wife her first DSLR, we have a compact panasonic lumix TZ10 and its so slow to take pics of the kids and the quality isn’t great. She will only ver use it in auto mode (I may dabble) but we want a DSLR for the better picture quality and for taking quicker of pics of the kids. I am completely torn between the Nikon D3100 & D511, money is not an issue, I just want to get the camera thats easier and takes the better pictures. If you are simply going to leave it on auto, I would say the D3100. But I would encourage you to learn a bit more about how to use it and take control of your image making. And then if that were the situation, I would have to say the D5100. The D3100 is very basic, and lacks some features and options that you will likely want in time if you are somewhat dedicated to your photography. You can of course learn to use it with my Nikon D5100 Experience e-book guide! Note that the D5200 is coming out soon – I think January 2013. This may bring down the price of the D5100. Since the D5200 adds a more complex autofocus system, you may still with to stick with the D5100 for your needs. As far as image quality, all of the current cameras will likely exceed your needs and expectations for image quality. They all have plenty of megapixels (resolution) and great low light performance. And be sure to use my affiliate links on the left of the page if you plan to buy the camera online! I just bought a like new D3100 with the 18-55mm VR kit lens and a Tamron 70-200mm f/4-5.6 Di lens, all accessories, plus 8gb flash drive, tripod and Nikon strap for $290. I will share this with the family, especially my daughter, who wants to learn more. I view it as an affordable way to break into the DSLR world. I miss using my Canon film camera that has the same manual controls, but look forward to the ease of changing ISO settings and being able to shoot in RAW format. Not to mention no film, processing and printing costs. I know it is at the low end of the scale, but the price and availability of some high end features makes it a perfect starter DSLR camera.